An MHK fears using the Steam Packet Company for patient transfers could lead to increased costs. The Department of Health and Social Care recently confirmed it would use the Government-owned ferry operator along with easyJet for those travelling to the UK for a medical appointment, along with current transfer provider Flybe. Onchan member Rob Callister is concerned using sailings would mean more patients have to stay off Island overnight because of the increased journey time. He believes this would make the process more expensive. 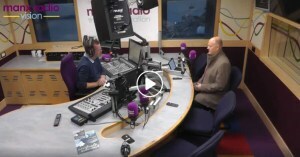 Following the news that Manx Radio will remain the host radio broadcaster for the TT races in 2019, the MHK with political responsibility for motorsport Rob Callister explains the governments decision. 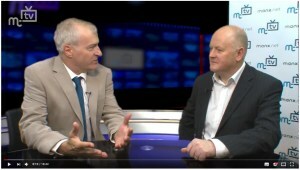 Following the success of Manx eight-ball pool player David Addinall, in his first season on the International Professional Pool Players’ Association circuit, an MHK is bidding for the Island to host one of the IPA’s ranking events. 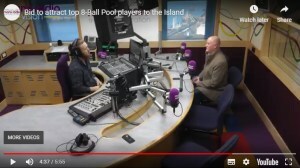 Rob Callister, who has been a top cuesports player himself, went on a self-funded trip to watch the IPA World Championships in Bradford earlier this month and speak with the committee about the possibility of bringing the tour to the Island in the future. Yesterday’s Tynwald debate on the Post Office provided an interesting sideshow. 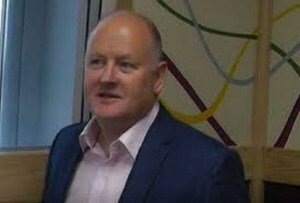 The Department for Enterprise is the sponsoring department for the Isle of Man Post Office. However, all four political members of the department spoke out about their concerns with the strategy. They are Daphne Caine, Tim Crookall, Lawrie Hooper and Rob Callister.